As we become older, surgeries become more common. Not just because we have more ailments that need to be dealt with, but because science and medicine (as a whole) are advancing to the point that surgeries are more easily performed. Things are easily done, and with less risk. Surgeries that used to require the patient to be cut open dramatically are often done laparoscopically now. Robots are used with extreme precision to reach places that human hands could not. It is no wonder that more surgeries are occurring, then, as a result. Sometimes, however, because surgery is becoming a bit more commonplace, we tend not to do the best job preparing for them. 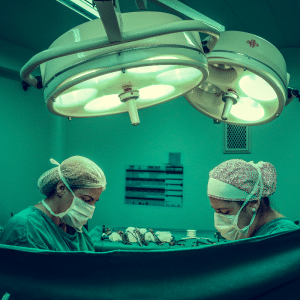 People neglect the rest that they need before and after surgery simply because the surgery is not deemed as dangerous while it is occurring. More importantly, perhaps, they neglect the sense of community that comes when there is a major event happening in their lives. In the not so distant past, if a family member needed to have a surgery for cancer, for instance, family members would come around to support the one having surgery by visiting in the hospital afterwards, taking meals to their home, sending cards of support and well wishes. Some people now, neglect to even tell family what is going on, have the surgery and are back to work right after surgery. This is not a healthy way to approach the adjustments that your body or you mind must make. Preparations for a major surgery can require extra time and energy. You must think ahead to the recovery time-period in advance. Clear your schedule for as long as the doctor says you should be resting. Do not take on extra commitments during this time. 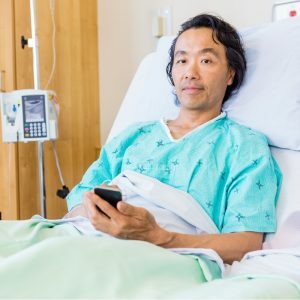 If you’re not comfortable sharing detailed information with people, simply say, “I’m having surgery during that time, so I cannot take that on.” It is not necessary for them even to know the type of surgery that you’re having if you are uncomfortable with sharing it. It IS necessary that you resist the temptation to put more onto your plate when you’re supposed to be removing it. Preparations also include being sure that you have groceries fully stocked for your resting time, and at least as many meals pre-made as you will need before you are able to begin cooking again. Be sure to have preparations made in your home, as well. If you are going to require sleeping in a different location for a time, get everything ready in advance. Consider which books you’ve been wanting to read, or movies you’ve been wanting to watch & get them ready before surgery so that you have things to do that do not require high activity levels & will promote resting. If you enjoy writing letters, put your stationary by your bedside before you read with a stack of books. You may not feel up to gathering supplies after you get home from the hospital. Think about the clothing that would be most comfortable for you to wear on your return trip from the hospital. Generally something with an elastic band around the waist & things that are loose fitting are your best bet. Slip on shoes, if you have them, can also be appropriate to help you avoid bending and pulling, too much. If you need to spend some days in the hospital, bring along a robe or nice blanket that you own. Bring slippers. Bring a book. Make your recovery time something to look forward to & you’ll be more relaxed & heal better. Plus, your nurses will feel more relaxed around you when they know you’re occupied and will only call if necessary. People who have more time to lay awake, bored, thinking of their ailments also tend to call the nurses more often for inconsequential things! Call when you have questions & if necessary, but be sure you have things to occupy the time without straining yourself so that the time will pass quickly for you. When you get home, take time to relax. When you’re done relaxing, relax some more. There are not many times in your life that you have mandatory rest thrust upon you. You can resist it and resent it or embrace it and enjoy it. The choice is yours!